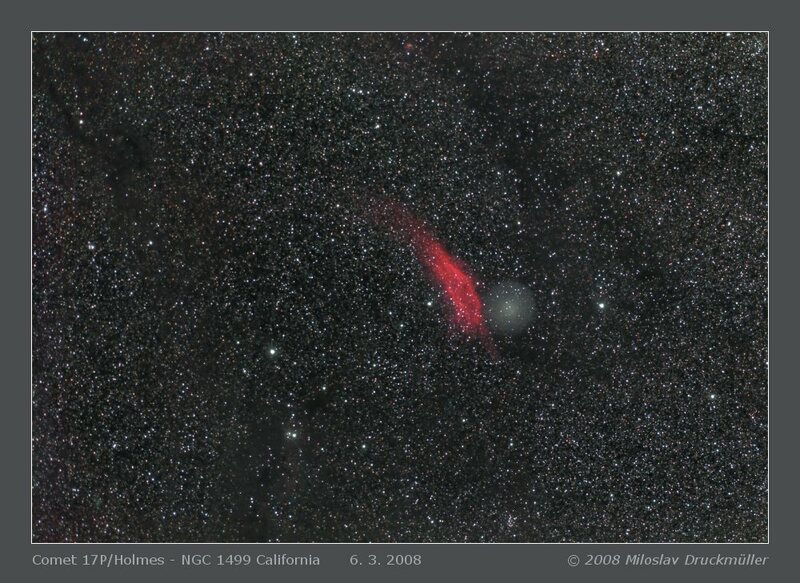 I took full advantage of the second perfectly clear night after the period of bad weather for capturing this wide-angle image of the Milky Way and Holmes comet approaching the California nebula. 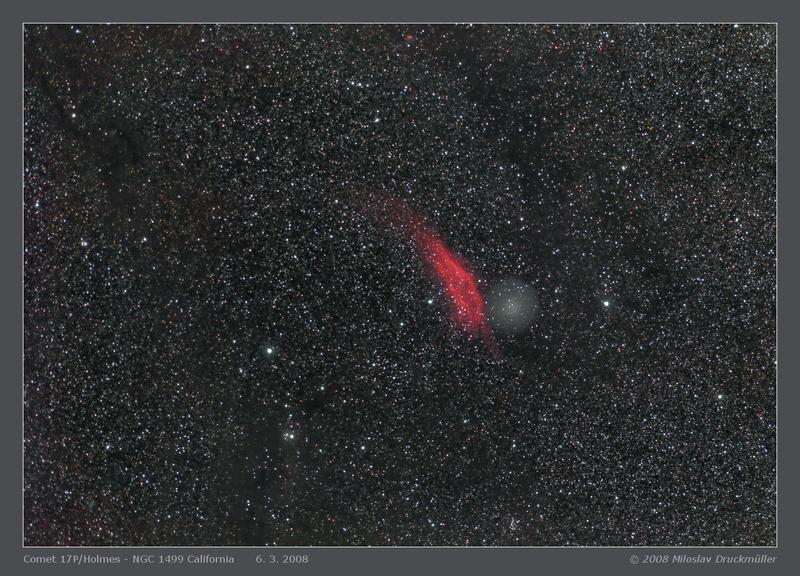 The total exposure of 2.5 hours was long enough to capture not only the comet itself and the red light emitting nebula but also enabled me to visualize the dark nebulas in dense star field. The lens which I used for acquiring this image is worth mentioning too. Tamron 2.8/90mm is well known as an excellent macro lens - probably the best one. I was pleasantly surprised that this lens is absolutely excellent being focused to infinity as well. You must observe the image in darkness and on well adjusted monitor to fully enjoy it.